Did You Say Homemade Lard?! Refried beans, flour tortillas, tamales…they all have a secret ingredient in common that makes them taste Mexican. What is it? Be honest, when you hear “lard” what’s the first image that pops in your head? Traffic jam at the main aorta valve? A pair of treasured jeans that you can no longer button? Lard gets a pretty bad rap these days. Why? Part of it is misinformation. Part is the fat-shaming culture. And part is the word itself. 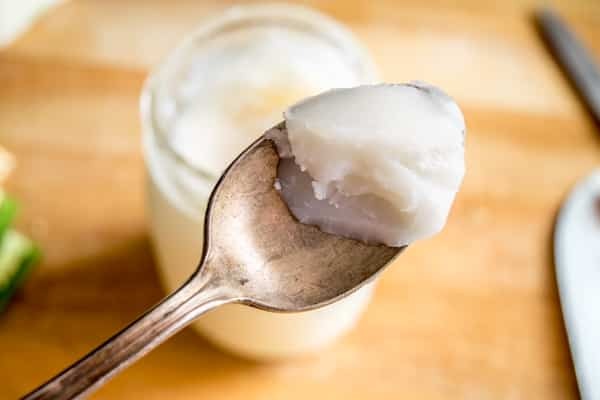 But the truth is, good lard is healthier than most butters that you regularly cook with. Lard is classified as a monounsaturated fat, so it’s rich in the same fatty acids that the lauded olive oil has. And while “no one can agree on nothing” when it comes to diet, in general it’s believed that diets higher in saturated fats produce more LDL (the bad cholesterol), and diets high in unsaturated fats produce more HDL (the good cholesterol). This is why olive oil has become so popular recently. It’s loaded with unsaturated fats. And so is lard. Maybe it’s just the name. Lard. How about from now on we just refer to lard as white butter? 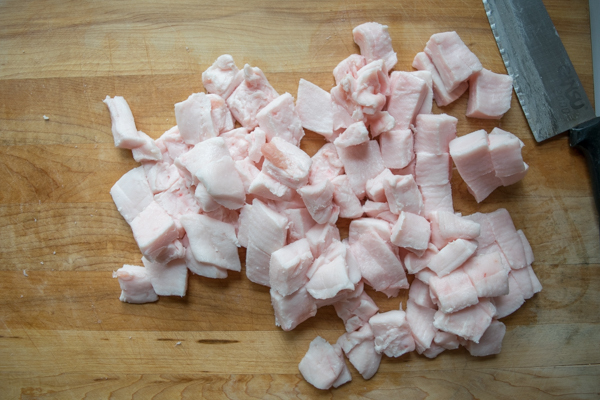 Either way, lard is an integral part of Mexican cooking, used in tortillas, refried beans, and countless sauces. I hope I can convince a few of you to take a closer look at it. 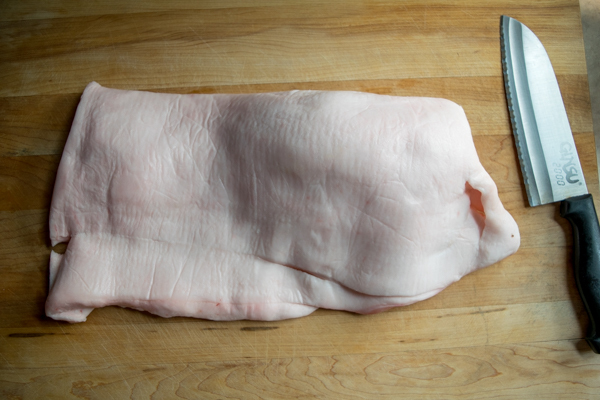 OK, there are two types of pig fat used to render lard: back fat and leaf fat. 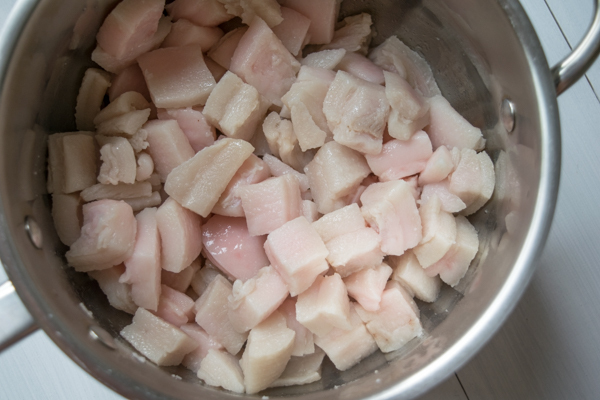 Leaf fat produces a lighter, whiter lard that is traditionally used for pastries. Back fat produces a more robust version and is more commonly used for general cooking purposes. You can usually find both types of fat at your local butcher. You’ll have to ask for it though, as they tend to keep it back in the freezer. 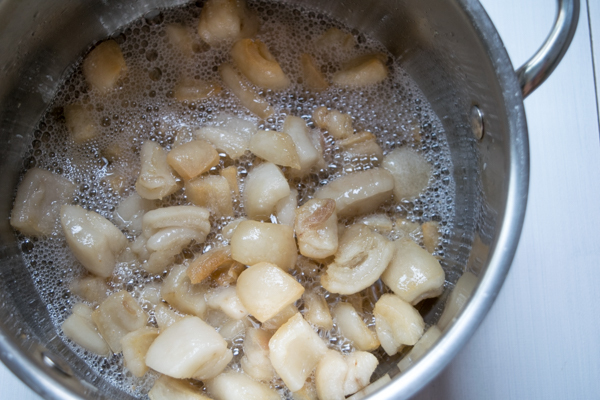 This will produce approximately 2 cups of the cleanest lard you’ll ever use. The process is simple. 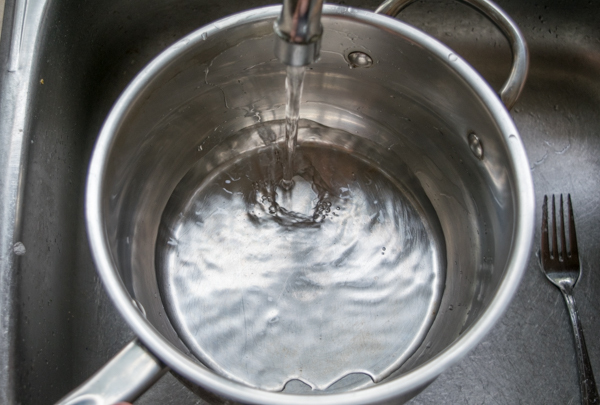 We’ll be cooking the fat on low temp and as the solids produce liquid we’ll strain it off into a holding pan. 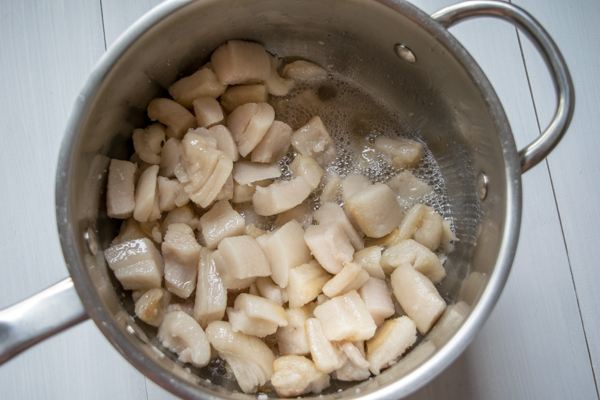 First, cut up the back fat into evenly sized chunks; about ½ inch works well. There is wiggle room on the size of the chunks. Just make sure you are consistent so that the pieces will be cooked evenly. Add a couple tablespoons of water to your pan. This thin layer of water will prevent some initial sticking and it’ll burn off as the fat heats up. Now add the fat to the pan and cook on medium-low heat. Nothing will happen for awhile. That’s good! We want to draw out the liquid fat slowly to prevent burning. Stir occasionally to keep it from sticking. Now we’re talking! Some of the liquid fat is forming at the base of the pan. Now it’s time to pull some of the fat out. This prevents any future burning but also expedites the rest of the process as the solids will have direct contact with the heat source. 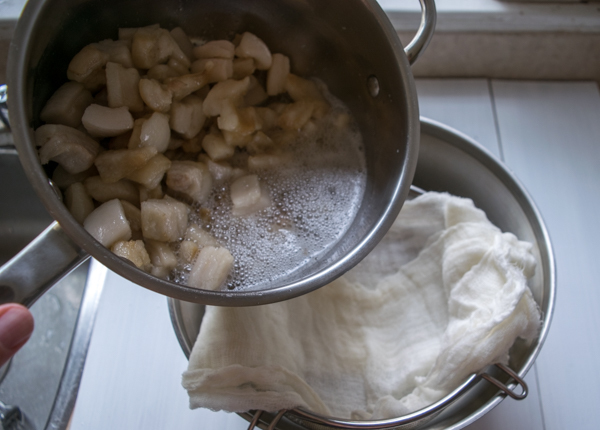 Set up a holding pan with a fine mesh sieve and pour some of the fat through it. Here I’m lining the sieve with a cheese cloth to keep out some of the solid bits, but if you don’t have a cheese cloth the first time you make it the sieve will suffice. Let the rest of the fat continue to render on the stove. For this batch I strained liquid fat out four times over 90 minutes. Let it cool for a bit as it’s no fun spilling piping hot fat when you are jarring it. 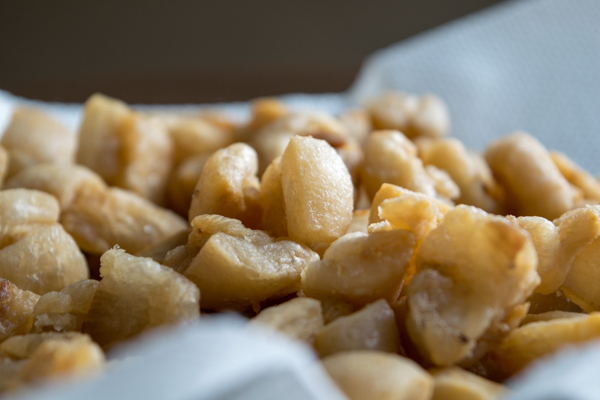 In the meantime, congratulate yourself on unknowingly making one of Latin America’s true delicacies: pork chicharones. 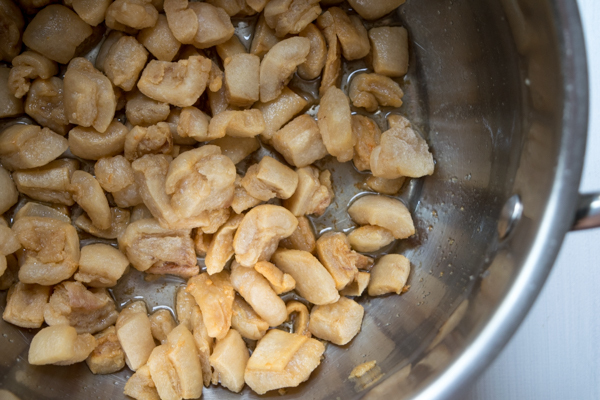 The solid bits of compressed fat left over in the pan are the chicharones. Drain them on paper towels, add a little salt, and give ‘em a taste. Texture will vary depending on how much skin was attached to the back fat, but most likely they will be delicious (at least for some of us). Just be sure to put the brakes on once you start gobbling them down because they are, uhmmm, kinda fatty. After the liquid has cooled a bit, pour it into your jar of choice. Lard is shelf safe but I tend to put it in the fridge where it can last for months. If you make a huge batch you can also freeze some of it. And that’s it! 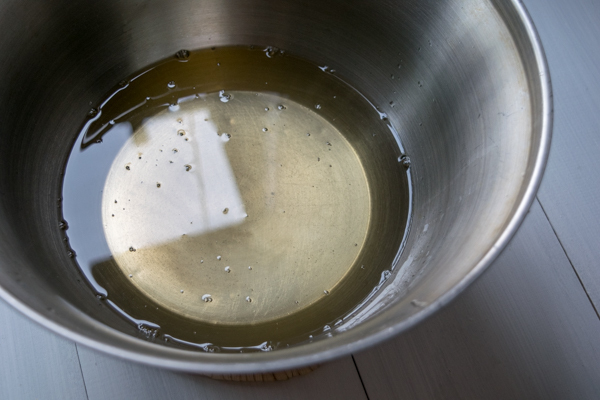 You now have two cups of one of the cleanest cooking fats you’ll ever get your hands on. Congratulations! It will work wonders in simple pot beans and refried beans. 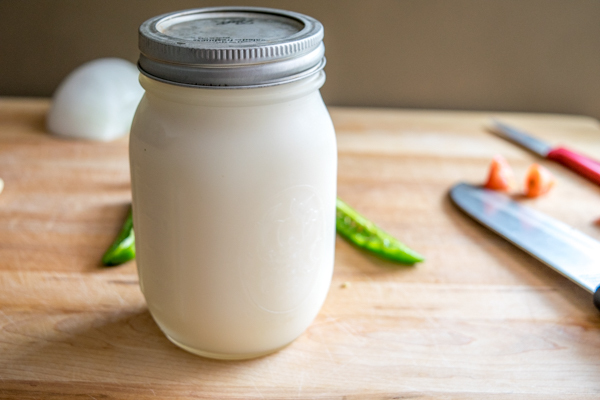 One last note: if you are in a bind and don’t have time to render your own lard, you can usually find a similar product at your local butcher (or gourmet store). But the lard you find in the baking section of grocery stores has been hydrogenated to increase shelf life and the final product has trans-fats that you probably don’t want in your body. And here are my thoughts on using bacon fat instead of lard. 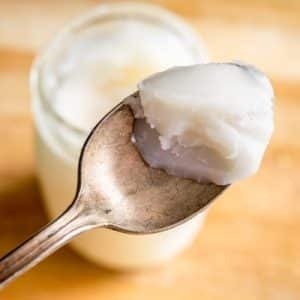 Lard can be one of the cleanest cooking fats available when done right. Give it a chance! When you start to get a pool of fat in the pan, strain some of it off through a fine mesh sieve. Previous Post: « Sopa de Aguacate – Is Your Kitchen Stocked? Hi Amelia! I know, it’s a little strange that lard gets such a bad rap these days isn’t it? I love having a jar of it in the fridge as it can be such a clean fat to work with. This is great! Can I just use the freeze from cooking bacon though? Or a pork roast with fat on it? 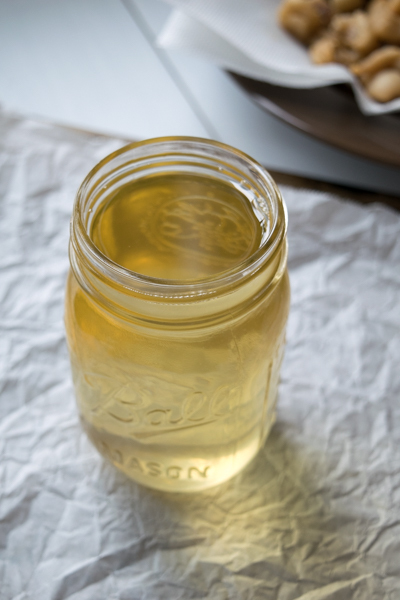 Is the leftover solidified fat from a roasted beef bone broth good to use? Wow! Thanks so much for sharing this recipe, it will certainly come in handy come tamale time! Do you think this manteca can also be used to make pie crusts and empanada dough? Oh absolutely! Although the fine dining pastry world would probably prefer that you use leaf fat (as opposed to back fat) to render the lard as it is supposed to have a milder flavor. But I don’t think you get an overwhelming pork flavor from rendering back fat so I wouldn’t hesitate to use it in pie crusts. 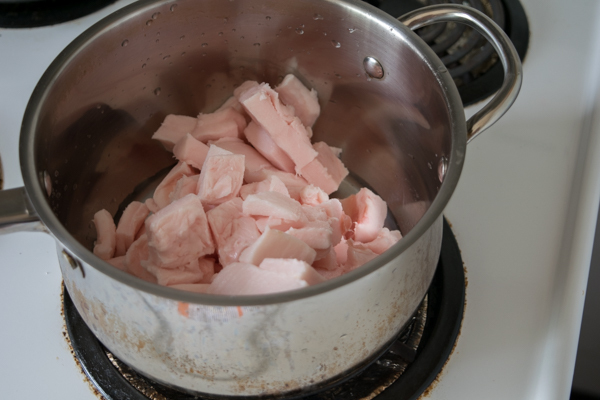 Thank you so much for the recipe to render my own lard because it is hard to find. What is leaf fat ? Hi Feriba! Leaf fat is taken from a different part of the animal than back fat, somewhere around the kidneys. It has a lighter, less ‘porky’ flavor and it’s commonly used in the pastry world. Nana made the best food, a bit of lard in all. I am a half breed and when I want Mexican food I usually cook it myself. My oldest son knows and loves the proper way to cook. My wife used to get upset when I would pull out the lard. I kept telling her it was safer than margarine and most butters. She finally checked and now it doesn’t bother her. Thank you for the article and recipe. I also remove chicken skin and cook the fat out so some crispy snacks are available.